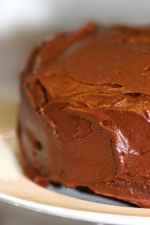 Chocolate fudge and ganache icing and filling recipes for chocolate cakes add a luscious finishing touch that elevates a good sponge cake into an exciting sponge cake. Some cakes have their own filling and icing recipes that specifically complement that cake's ingredients, like some fudge cakes, so if they are widely different from the basics shown on this page, then they are worth following. The chocolate icing, filling and frosting recipes here are all good basic recipes. 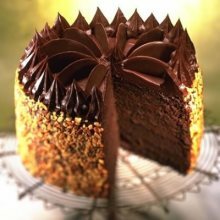 Simple recipes for creating the perfect icings and fillings for all kinds of chocolate cakes, fairy cakes, cupcakes, gateaux, and speciality chocolate cakes. 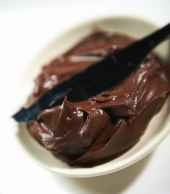 Many, like the warmed chocolate ganache recipe, can make the best and most simple chocolate sauces, for ice creams, and hot chocolate puddings. While the chocolate fudge recipe is great with brownies and blondies. The taste of the finished chocolate recipe, belies the simple recipes you have used. Chocolate icings and fillings are also invaluable for decorating your cakes; making your humble chocolate sponge cake look like a patisserie or dessert star. 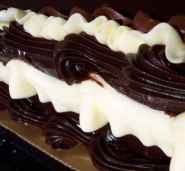 For frosting recipes including a rich glossy satin chocolate glaze and white chocolate frosting recipe, go to the frosting recipe page. Place butter, cream cheese and vanilla into mixing bowl and, either using a wooden spoon or an electric mixer, beat until soft and creamy. Gradually beat in the icing sugar and cocoa to make a thick creamy smooth mixture (on low setting if using electric mixer). A rich chocolaty fudge topping for large cakes and loaf cakes. Melt the chocolate in a heatproof bowl over a pan of simmering water (do not let the water touch the base of the bowl - please have a look at other methods discussed in the cooking tips section). When gently melted and smooth add the golden syrup and butter. When it's all melted and smooth, let the mixture cool and stir occasionally. When you think it is a good consistency for spreading, use before the mixture sets (if it does, very gently warm). This is enough to fill and top one sponge cake, or top 12 cupcakes/fairy cakes with the fudge icing mixture. This is not too rich so it is ideal for children's cakes for a birthday party or a teatime treat. Put the butter into a bowl and, using a wooden spoon or electric mixer, beat until very soft and creamy. Gradually beat in the icing sugar, cocoa and milk to make a thick smooth icing. If using an electric mixer, use on slow. Variations: To make this recipe into a light mocha icing, replace the milk with cold coffee. To make a white vanilla icing, omit the cocoa and beat in one teaspoon of vanilla essence. This is the smoothest and least sweet chocolate icing to use. It is very versatile as it can also be used warm with ice cream, and is lovely with poached pears. When chilled it is ideal for an intense chocolate addition to any cakes, gateaux or meringues. Put the cream into a saucepan and bring nearly to the boil, so it is scalding hot. With the finely grated chocolate in a heatproof bowl, pour the hot cream over and leave to allow the chocolate to melt into the hot cream. Gently stir to mix. For a professional quality finish on the ganache - use couverture. This is because you can use a higher proportion of chocolate to cream, because couverture is more viscous than ordinary plain chocolate. In this instance, you can use 200g of couverture to 150ml of double cream. You thereby achieve a more rich and intense chocolate result. This makes a rich and velvety smooth icing that will fill and ice one sponge cake. With both chocolates in a heatproof bowl, melt together over a saucepan of simmering water. When melting nicely, remove from the heat and gently stir until smooth. Add the sour cream and whisk using an electric hand whisk until the mixture becomes thick and glossy. If a good consistency you can spread straight away. In warm weather you may need to chill slightly to get the mixture thick enough to spread. This is lovely with hot pancakes and waffles, or even just on toast. Beat the butter until light and fluffy, and then add all the remaining ingredients and mix well. Put the nuts and sugar into a small heavy based saucepan. Set the pan over a very low heat until the sugar starts to melt. Continue cooking until the sugar caramelizes a deep golden color. The almonds should make a popping sound as they toast. Quickly pour the praline onto the prepared oiled surface. Spread out and leave to cool. Break into pieces to feed into a food processor to grind into the required consistency for the recipe or until the texture is as you require for taste. For another rich chocolate fudge recipe go to chocolate layer cake recipe page. Other classic ways to use chocolate fudge sauce is as a hot sauce with brownies. Find hot fudge recipes including hot fudge sauce and chocolate custard recipes. But for more frosting recipes including a rich glossy satin chocolate glaze and white chocolate frosting recipe, go to the frosting recipe page. Return from icing recipes to best chocolate recipes online home page.